Her Majesty the Queen’s Reference Library is the Royal Family’s private library, established in 1746 by Frederik V. It contains the Danish monarchs’ collections of books, manuscripts, maps, pictures, photos, sheet music and more. The library is housed in Christian VIII’s Palace at Amalienborg and at Christiansborg Palace. 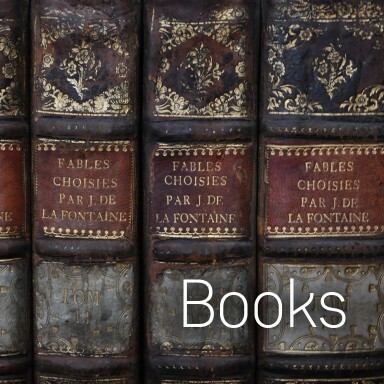 The collections occupy approximately 3 kilometres of shelf space. 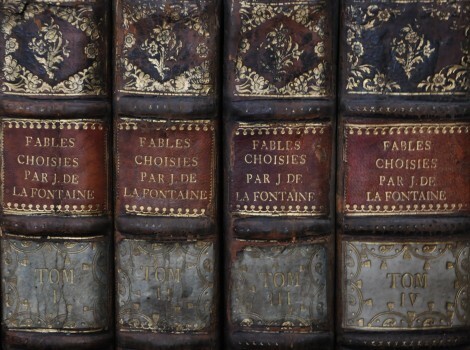 They are large part composed of the still-growing book collection of around 100,000 volumes stemming from the end of the 1400s until today. 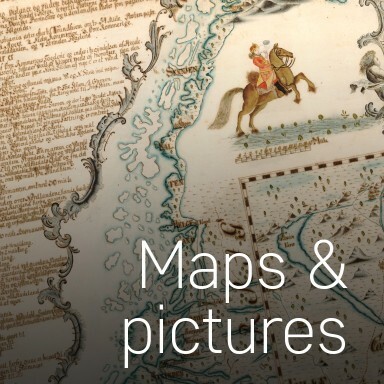 Amongst the approximately 11,000 geographical maps in the map collection, which stem from around 1650 to around 1900, are many unique and rare maps, primarily of Europe, including Denmark and the former Danish territories, but also the rest of the world. The picture collection contains a variety of material from the middle of the 1700s until today, consisting amongst other things of original artworks, photographs, prospectuses, and posters. Finally, the Reference Library has a film collection and a sheet music collection, both of them stemming from Frederik IX. 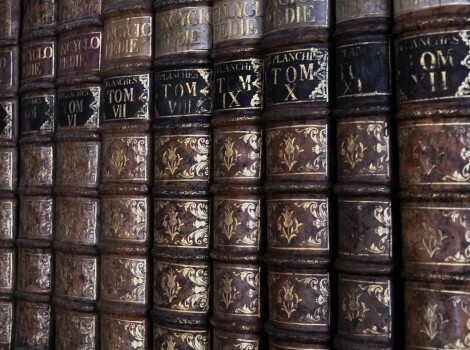 As part of the royal collections, the Reference Library is home to a rich and various source material regarding the Royal Family and Denmark’s history and culture. The Library often contributes to exhibitions and publications, and is, with certain restrictions, open to the public. The majority of its catalogues are available to search in on the internet. HM The Queen’s Reference Library is the private library of the Danish Monarch and, as such, is the second ‘Royal Library’ in Denmark. The first was founded by King Frederik III in the mid-1600s and is known to this day as “The Royal Library” (Det Kongelige Bibliotek). It is now the national library of Denmark and the country’s principal research library for the humanities and the social sciences. It was opened to the public in 1793 and became state property in 1849 when the absolute monarchy was abolished in Denmark. 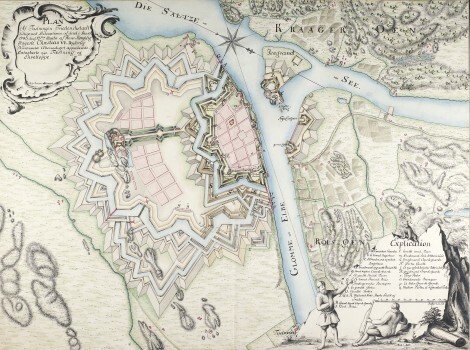 The growth of The Royal Library and its physical removal (in 1673) from the Royal residence made it more difficult for the King to use at will, creating the need for a new royal library to be collected, which was more easily accessible. 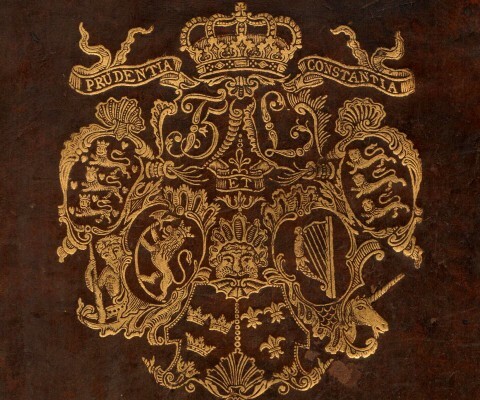 In 1746 HM The King’s Reference Library (H.M. Kongens Haandbibliotek) was founded as an institution by Frederik V (1746-66) on his accession to the throne. It was housed in the recently constructed Christiansborg Palace in Copenhagen. Initially this library was envisaged as a relatively small private library at the King’s personal disposal for study and reference. As such, it was set up in a suite of rooms at the palace immediately below the King’s apartments on the floor above. It remained here for the first half-century of its existence, i.e. throughout the reign of its founder and for the first 28 years of the reign of his son, Christian VII (1766-1808). In 1794 a great fire completely destroyed Christiansborg Palace and most of the library is thought to have been lost. The library was reconstructed by the Prince Regent, Frederik (VI) who had been Regent since 1784. (He acceded the throne in 1808-39). It was situated in his new residence at Amalienborg. It was to remain here until 1840 when, due to the shortage of space created by the addition of the vast collection of the new King, Christian VIII (1839-48), it was moved back to the newly reconstructed Christiansborg Palace. The Royal Family, however, continued to reside at Amalienborg for the most part, and since then the library has never been an integral part of the Royal Family’s apartment. The library remained at Christiansborg until 1884 when fire once again destroyed the palace. This time the library was saved, though much of it was treated roughly; many of the books were simply thrown out of the windows. The books moved back to Amalienborg again, to remain there until 1922 when they were returned a third time to the renovated Christiansborg Palace. In 1985 the library took yet another journey back to Amalienborg though this time not because of fire but because of shortage of space and of HM The Queen’s wish to have it closer to her primary residence. Since then the Palace of Christian VIII has been home to the offices and most of the stacks of the library, although a small selection of the books has remained at Christiansborg Palace to fill the shelves of the two ornate library rooms that are part of the Royal State Apartments. 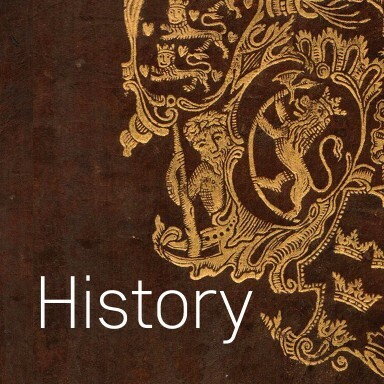 For the first century and a half of its existence the library remained in the possession of the Danish Kings by force of tradition, inherited from King to King. 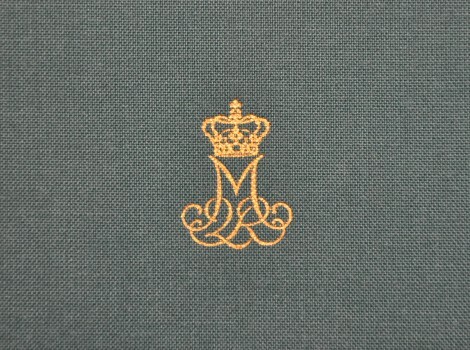 To formalise the tradition and to ensure the library’s continued possession by the monarch, it has since 1910 belonged to the Entailed Estate of the Danish Royal Family. This means that the library is not the personal property of the monarch but preserved by him or her for future generations. Thus the library is at the disposal of the current monarch at any time who, together with the throne, inherits the right to use it and the duty to pass it on undivided to his or her successor. Very little is known about the use of the library during the earliest part of its life until the fire of 1794. In subsequent decades, until the reign of the present Queen, it seems to have been used almost exclusively by members of the Royal Family and the Royal Household. For much of the time since the mid-19th century it appears to have led a somewhat secluded life. Before this time, however, the library had enjoyed a period of intense activity during the reign of Christian VIII who, with his wide-ranging intellectual and artistic interests, had created an active intellectual environment in his palace centred on his valuable collections of art, classical antiquities, coins and natural specimens. The library became a part of this activity and was involved in a number of ambitious scientific and scholarly projects which, however, due to the King’s early death, were only partially realised. In modern times, during the reign of the present Queen (since 1972) there has been a considerable increase in the activities of the library, which also includes the cataloguing of The Queen’s ever growing personal collection which remains strictly private. The library today serves four main functions: Firstly, as a part of the Royal State Apartments at Christiansborg Palace it contributes to the setting for official royal arrangements including the government. 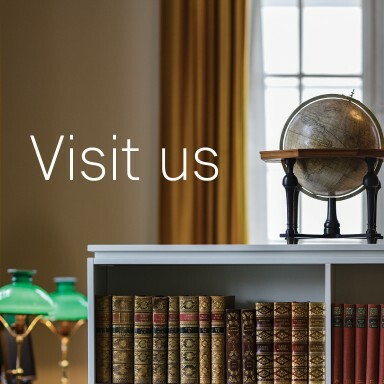 Secondly, as part of The Royal Danish Collection it functions as a museum of books and book binding, and contributes to the preservation of the national literary and artistic heritage. Thirdly, as a working reference library it serves the needs of Her Majesty, the Royal Family, and the court administration. Finally, the library serves a public function as a research library for Danish and foreign researchers and scholars who, upon application, may be granted permission for study, reproduction or exhibition of rare or unique material. This is today its main function. 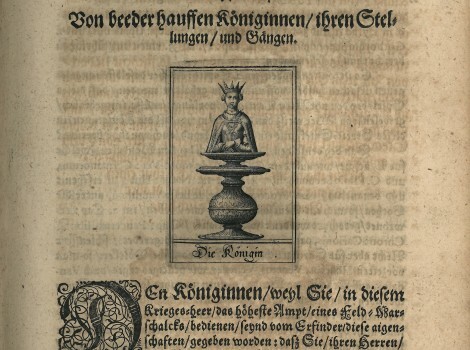 For more on the history and collections of the Reference Library: Klaus Kjølsen and Christian Gottlieb: Hendes Majestæt Dronningens Håndbibliotek 1746-1996 (Odense Universitetsforlag, 1997), 336 p. This book also includes a comprehensive English section (86 p.).